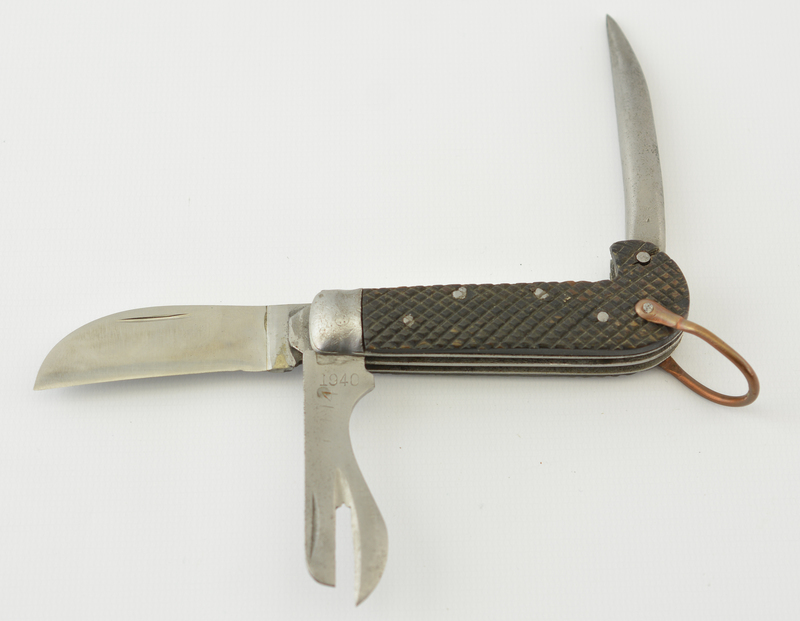 Description: This three piece (main blade, can opener and Marlin Spike) Knife is dated "1940" on can opener with "1114" stamping. 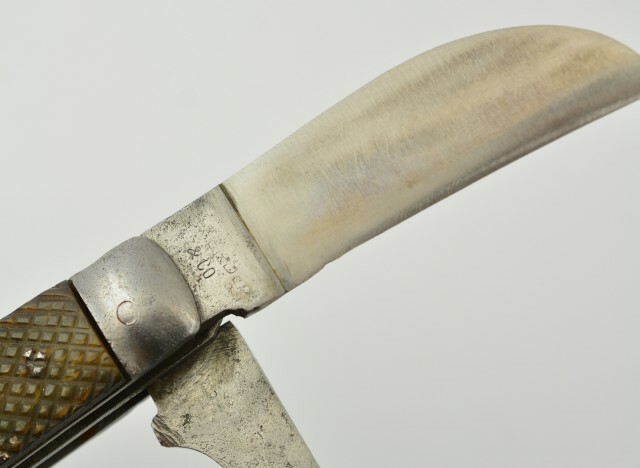 The makers name on main blade is obscured by a period brazed repair. The bexoid scales have sun bleached on right side with a tiny chip at marlin spike. 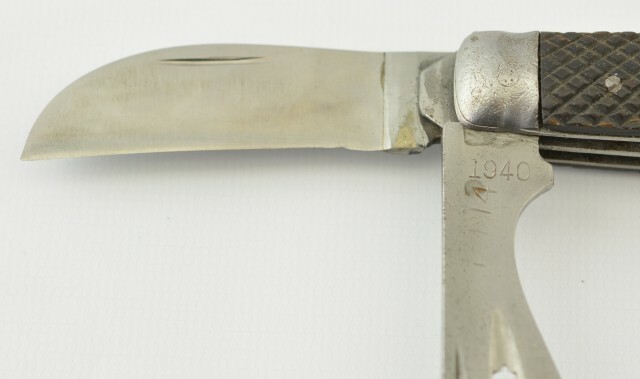 The left side shows a small crack at rivet. Metal surfaces show cleaned light pitting and copper shackle is loose on right side. 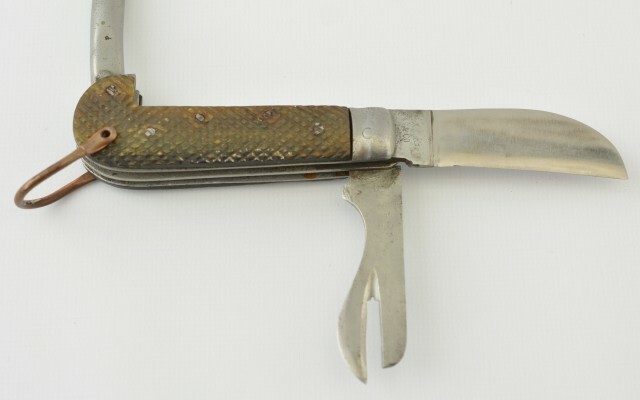 These early knives are quite hard to find in any condition.